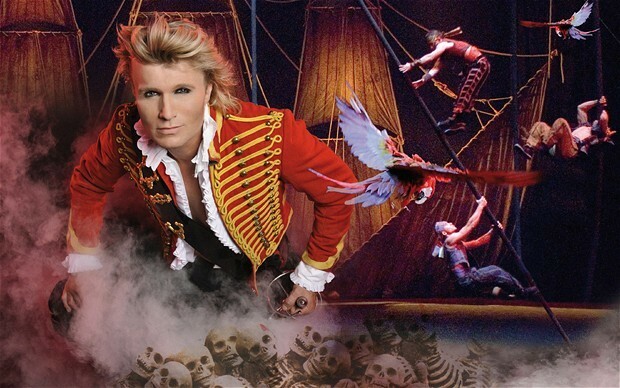 Coming all the way from Vegas, Dutch magician Hans Klok brings us his quick-fire brasher-than-brash style-over-substance blink-and-you missed-it holy-cow-did-you-just-see-that show modestly titled The Houdini Experience. Like an unexpected punch to the stomach, the show’s running time of two-and-a-half hours is longer than most people seeing this show will have bargained for but there’s an abundance of no-money-spared razzamatazz to keep us entertained. Ok, so the tricks may get a little repetitive towards the end, but never mind the quality, feel the length! Mr Klok himself is an interesting specimen with abundant charisma, a blinding smile and a hairdo that we’re sure we saw being valued recently on The Antiques Roadshow. The press night audience included Paul Daniels and wife Debbie McGee, ex-Ewok Warwick Davis and more Z-listers than in a doctor’s surgery worth of glamour mags. Quite what attracted Ms McGee to this high-profile magic show, we unfortunately didn't find out. As one would expect from the high production values, the many cunning stunts are gobsmackingly astounding but thankfully leavened with equally eye-popping acrobatic turns from gymnasts, contortionists and a trapeze artist. By the end, pretty much everyone in the audience was a Klok-watcher of one kind or another and we were left thinking that all Mr Klok could do to improve this gloriously over-the-top show was to get Her Majesty to parachute in at the last minute. This is undoubtably the biggest and brightest magic show in London right now – and maybe all year – but not your only option. La Soiree’s Ursula Martinez is at the Soho Theatre with a new show about her (definitely not safe for work) Hanky Panky routine, something which even the talented Mr Klok would find impossible to reproduce. Close-up experts like the flame-haired Laura London and the snarky sorceror Piff The Magic Dragon are regulars on the cabaret circuit while there are monthly events at Madame Jojo’s and Ealing’s Conjuring At The Court. The Houdini Experience is at the Peacock Theatre, Portugal Street WC2 until 25 March. Tickets cost £19-£52.